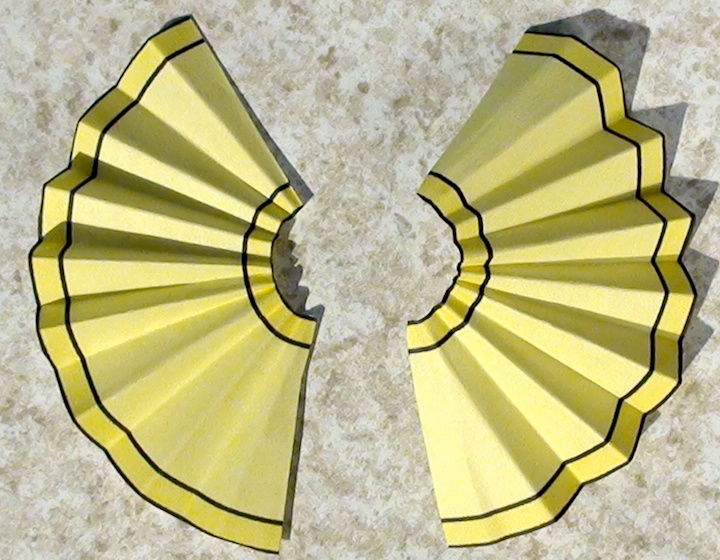 Take a prepared small circle and cut it in half to make the two sleeves. 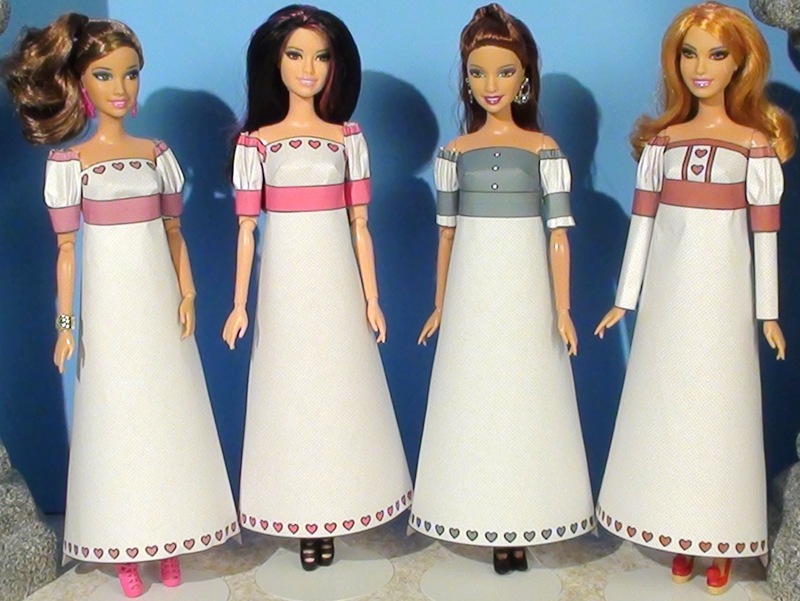 Depending on where you wrap the sleeves around the doll’s arm you can make the sleeve appear at a normal shoulder height, like in the picture above, or off shoulder, like in the picture below. 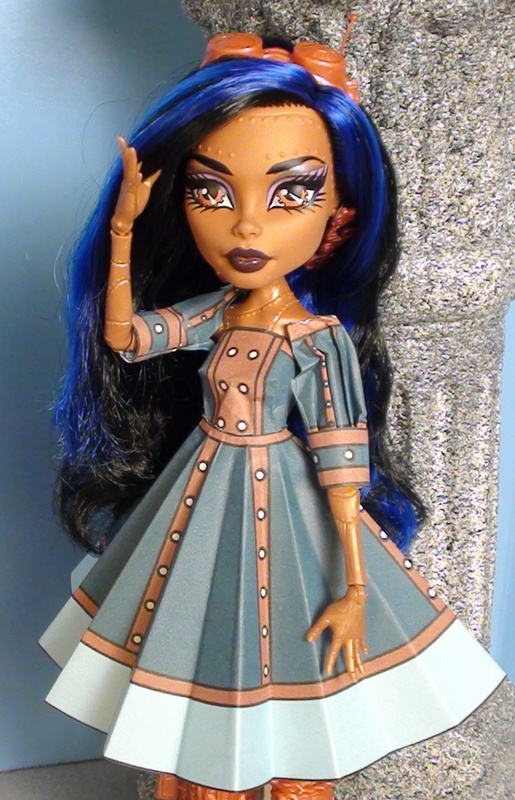 For the higher look wrap the sleeve around the dolls arm at the height you want and tape the bottom edges together. This will work well with either the puff or middle puff sleeve since the arm band will hold the sleeve in place. 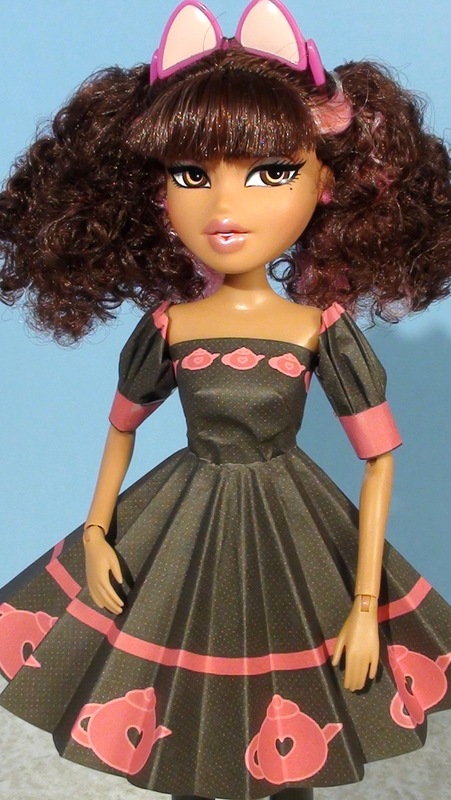 For the look in the picture above, wrap the inner circle of the half circles snugly around the doll’s arm and tape the overlapping edges together. This sleeve can stay in place while on display but is likely to fall down when moved around. To add stability to this sleeve take a strap piece and cut it in half. Place a small piece of tape on the end of each piece. Pinch with your fingers around the top of the sleeve and wrap the strap piece snugly around the top of the sleeve with the tape overlapping in the back. Pinch around the middle of the sleeve and add a band to make the Middle Puff sleeve. For a puff sleeve, pinch around the bottom of the sleeve then add the arm band.